Deep dive into companies and learn about their management, owners, network, auditors, employees and more. Tofler compiles disparate data sets from multiple sources to ensure that you get maximum data coverage. 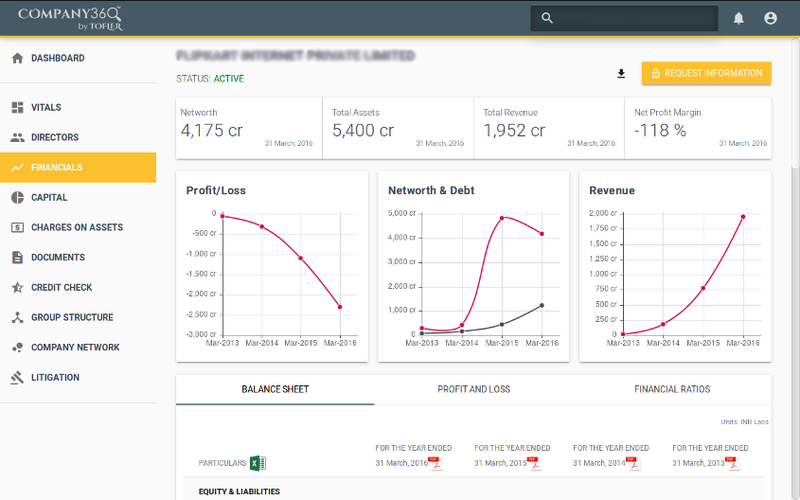 Access financial history of companies, analyse charts and ratios, export financials in excel and access original financials documents filed by the company. Search corporate litigations (pending and closed) across courts in India. Tofler compiles data from various courts, tribunals, regulatory authorities, etc to ensure that information is comprehensive and up-to-date. Access credit ratings provided to companies and find out whether they or their directors have hit any defaulter lists. Explore all the charges created on assets of the company against current and past borrowings. Deep dive into their terms of repayment, interest rates, particular of assets charged and other details. 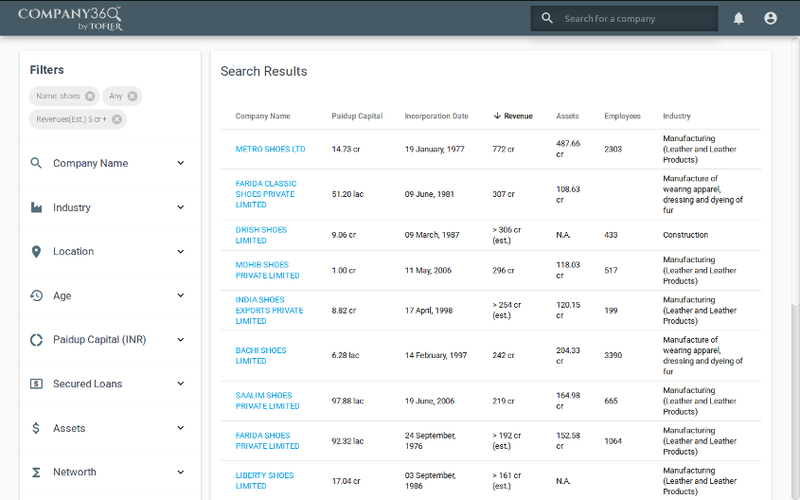 Explore capital structures of the company over time. Study capital infusions into the company, consideration received, type of securities issued and original filings done at time of allotment of shares. Understand the network of a company. 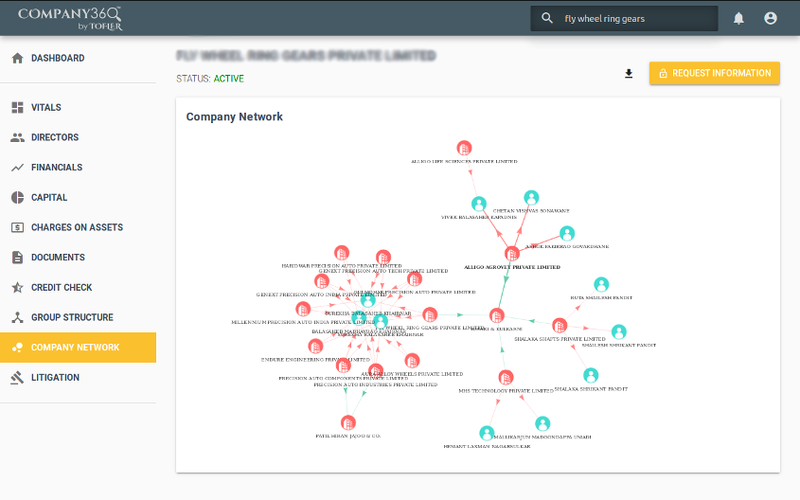 Explore how it is connected with other companies through its directors. Also, find out its parent company, subsidiaries, joint ventures and more. We are looking forward to hearing from you. Your every suggestion, feedback and complaint is important to us. We read every single message we get. Also find us on twitter and facebook.